We’re always looking for easy, breezy, and incredibly delicious recipes. This Chicken Enchilada Casserole will knock your socks off and everyone will want the recipe. 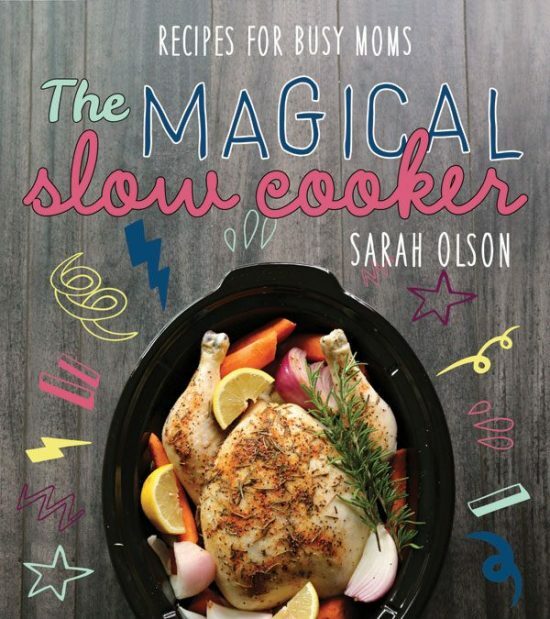 Life’s too short to be stuck in the kitchen, so says Recipe Creator Sarah Olson, the pretty face behind The Magical Slow Cooker. Her Slow Cooker Chicken Enchilada Casserole has totally resonated with her followers and it’s completely obvious why to us. It’s simple to make and tastes great! Sara is most accomplished. She even has her very own Cookbook filled with her yummy, scrummy slow cooker recipes. There’s something for everyone. It’s the perfect addition to your collection and makes a great gift. You can get your copy here. Here’s what you will need for your recipe. There are 5 key ingredients and Sarah uses a 6-quart slow cooker in her video. Put the chicken breasts and the enchilada sauce in your slow cooker. Cut the tortillas into strips, add to chicken and sauce. Add 1 cup of cheese and half the olives into the sauce and chicken mixture. Add the rest of the cheese and the olives on top. Cook on low for about 40 – 60 minutes longer.